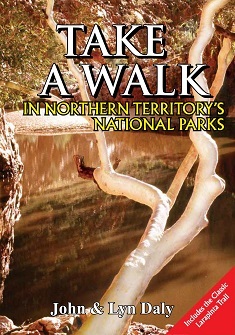 This edition of the Take A Walk series is the only definitive bushwalking book to describe short strolls, day walks and overnight hikes in national parks and reserves throughout the Northern Territory. There’s over 1000 kilometres of walk descriptions, complete with sketch maps and colour photos. The walks have been selected to appeal to a broad cross-section of visitors – families with kids, active travellers and hard-core bushwalkers looking for adventurous overnight hikes and expedition walks. Complete track notes for one of the world’s ‘classic walks’, the 233 kilometre Larapinta Trail, are included, as well as a selection of day walks along sections of that trail.